LO loves this product. Makes for two portions as to have in one sitting is too much for her at the moment. LO goes mad for this egg custard when I give it to her. It does taste nice as I’ve tried it. A good go to- out and about jar. My son absolutely loves puddings and to this was one of his favourite puddings. he loves it. You can either have hot or cold great smooth texture. It was the right texture and thickness for the ages it is appropriate for. My little one use to love these still does, but after a while it just seems to be watery and it puts me off him eating it. The price is really good though for what you get, I normally find them in the deals like 5 for £3. All my babies have really enjoyed this product. 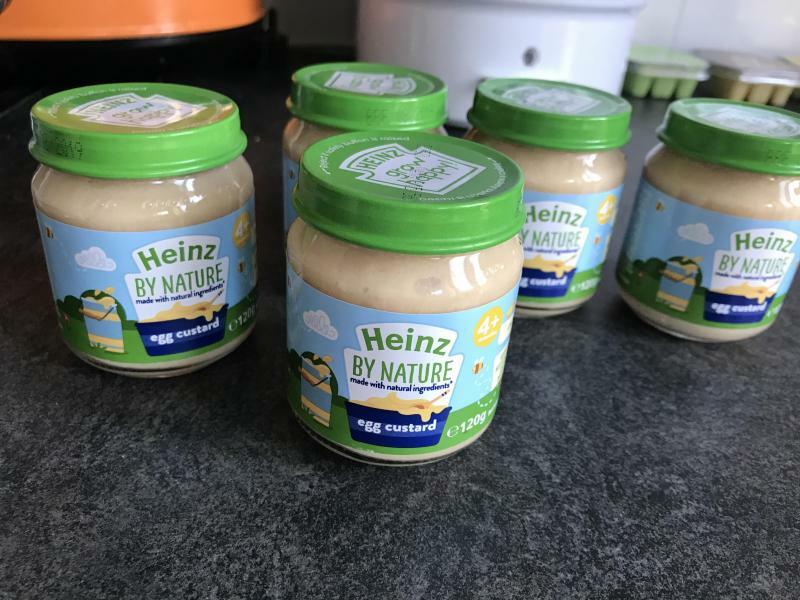 It has a lovely smooth texture that's perfect for little ones and the jar fits into a changing bag very easily so it's great for on the go as doesnt need to be warmed up either. Warm or cold the taste is great. Would highly recommend this product. Used this as a ‘1st food’ baby loved it, easy to digest, can be eaten at room temperature or warmed through. Smooth texture, lovely taste. Easy to take out and about although being in a glass jar may be easy to break. Daughter really enjoys the egg custard dessert. Eats without making a mess and spitting out. Tends to tirn runny if not used all at once. This together with rice pudding is my daughter's favourite dessert. 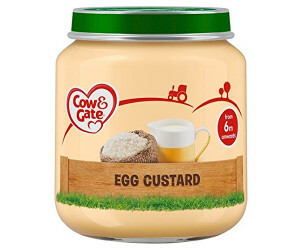 If going out always take a jar of egg custard with me as I know she will eat nicely without spitting out and making a mess. Jars can be pricey if not on offer, and tend to turn runny if not used in one go!! My daughter didn’t like these, there became runny too quickly and are too smooth. I like the glass as it’s reusable and the food can stay fresh in it. Tried my daughter on this one day after her dinner and she loved it. I thought that she might of just spat it out and be like i dont want anymore. I couldn't feed her this quicker if i tried. My daughter loves these for a pudding! She always looks for more. Easy to feed & really handy when out & about. They are available in so many stores to which makes life so much simpler if you forget to grab one before you go out. My daughter loves the flavour but about half way through I find it goes to pure liquid. I’ve had them a few times now. Which makes it impossible to feed to the baby unless you could put it in a bottle it’s that runny. 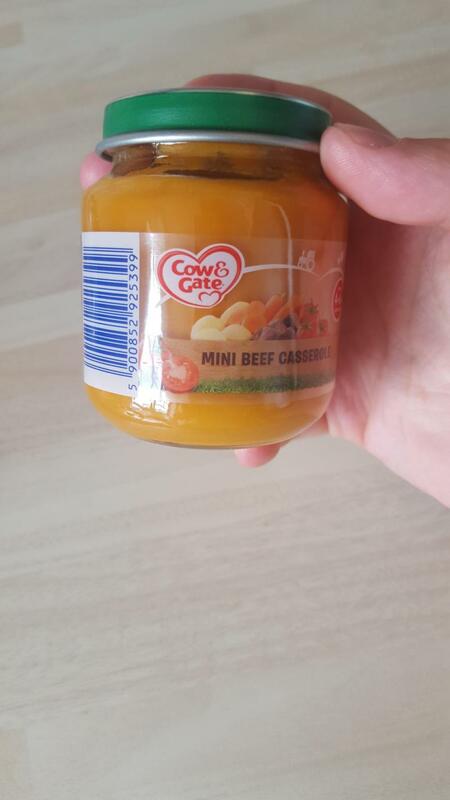 My little girl didn't like it she wouldn't eat any cow and gate so sad as I got a lot my son loved it so just remember all babies are different and don't stock up on one brand. This has to be the yummiest pudding ever! My little one loves the taste as much as I do. The rich and creamy texture ensures easy feeding. It is well digested,I haven’t seen any kid not liking this particular food jar. It is a very healthy option and very easy and convenient to feed on the go. It gets eaten in less than 5 minutes and baby makes sure mummy doesn’t get any! 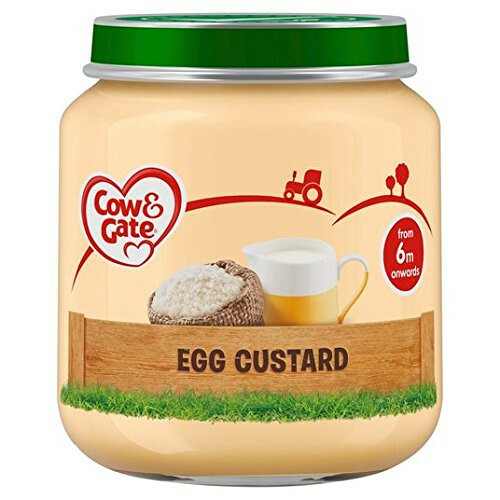 The taste is loved by my little one and i highly recommend this product to others who are currently weaning to keep this as an emergency item when mummy is unavailable so daddy can easily feed the baby. This is one of the best puddings that we have tried. Both my sons enjoyed them, to be honest I often had some with them because I loved the taste and the texture. They are so easy to prepare as can be eaten both cold or warm. I would often take one with us as a snack on the go because I could just feed them straight from the jar. The price is great too and often stores offer a discount on buying larger amount. I love these because they’re easy to prepare and my little one loves them. Perfect for a nice Pudding after dinner. Nice texture and my little one loves them warm or cold . Will be buying again :) good value for money . This was one of my daughters favourite puddings! It smelt so nice, I even tasted a little bit and it tasted exactly like you would think, YUM! I use this product before for my baby (5 month) and he like this food very much! when i'm tired or is to late to prepare food this product is very fast!